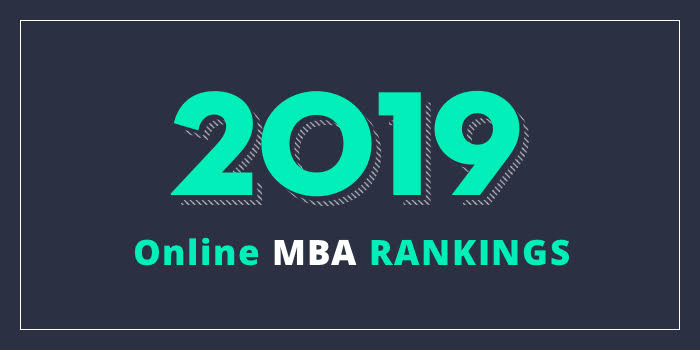 Our 2019 rankings of the Top Online MBA Programs in Florida. For an explanation of ranking criteria, click here. In 1999, the Warrington College of Business at the University of Florida (UF) became one of the first schools to offer a fully accredited, 100% online MBA program. The school says that the “innovative 24-month option does not require a single campus visit.” The school has two additional options including an Accelerated Online MBA that allows students to complete the program in just 16 months and a “two-year” option, which takes 27 months to complete. Both programs are offered in hybrid format, meaning students will have to attend an on-campus orientation and visit the campus one weekend every four months (Saturday & Sunday). During these visits, students will months to take final exams and to deliver final presentations. A concurrent Outreach Engineering Management (OEM) Master’s (OEM/MBA) is also available. This degree option “reduces the amount of time and coursework required for students to obtain both the MBA and the OEM degree from UF." All online MBA students are encouraged to enroll in UF's MBA Global Immersion Experiences (GIE). Students register for the two-credit course that meets in person and online over the course of the semester and includes a seven to 10-day experience abroad in China, Chile, Dubai and others. The Online MBA programs at UF’s Warrington College of Business are AACSB-accredited. The College of Business at Florida State University (COB FSU) offers two online MBA programs. Prospective students may choose between the Online, Part-Time MBA, and the Online, Part-Time MBA with a Real Estate Specialization. The 39-credit hour Online, Part-Time MBA offers a General Track or a specialization in Management Information Systems or Risk Management and Insurance. The program may be completed in two to 2.5 years or seven semesters. Online MBA students may participate in the Global Business Seminar for Graduate Students, which provides the opportunity to study abroad in Seoul, South Korea at firms such as Samsung Electronics, Hyundai, Kia and LG. The program, which also features several cultural excursions, focuses on the "globalization and sustainability of Korean multinational firms." The Online MBA with a Real Estate Specialization also consists of 39 credit hours and features a “rigorous set of elective courses focused on real estate and analysis.” The program, which also offers a study abroad option, may be completed in two to 2.5 years. As part of the FSU College of Business, both the Online, Part-Time MBA and Online, Part-Time MBA-Real Estate are AACSB-accredited. Florida International University’s (FIU) Chapman Graduate School of Business offers a Corporate MBA (CMBA) that may be completed 100% online. Tailored for busy, working professionals, the FIU CMBA utilizes discussion boards, chat, and email, as well as online e-advising and e-tutoring, and academic coaches. This AACSB-accredited program requires 42 credit hours of study to graduate and students now have the option to choose a specialization. Eight options include Business Data Analytics, Entrepreneurship & Innovation, Finance, International Business, Leadership, Marketing Channel Strategy, Real Estate, and Strategic Negotiations. Each specialization consists of two courses (out of the 14 total in the program). In addition selecting a specialization, students will are required to take three Professional Development Seminars (PDS) during the first quarter of the program. Professional Development - Work Preference Indicator Assessment, Professional Development - Presentation Skills Seminar, and Professional Development - Career Services Seminar. Depending on factors such as whether students attend full- or part-time, prerequisite requirements, and more, the FIU CMBA may be completed in a as few as 18 to 21 months, or 33 months. The Kate Tiedemann College of Business at University of South Florida St. Petersburg (KTCOB USFSP) offers an AACSB-accredited MBA Program that may be completed entirely online. Per the school, “from application to graduation, fully online students never have to come to campus if they so choose.” Online courses are taught in “compact” eight-week sessions, which allow part-time students to enroll in just one course at a time. Online MBA students have the option to pursue the Global MBA Track, which requires a Study Abroad Course. Students may opt for one of seven other Focus Tracks including Corporate Social Responsibility, Finance, Forensic Accounting, International Business, Management, Information Systems Management (formerly Managing Knowledge Resources), and Marketing Strategy. Recent USFSP MBA graduates are employed at international companies as well as positions at Florida’s top corporations, including Raymond James, Franklin Templeton, Wells Fargo, Nielsen and Jabil. The School of Business Administration at University of Miami offers an MBA Program known as the “UOnline MBA.” The 42 credit hour, AACSB-accredited program is “taught by the same high-caliber faculty members that also teach on-campus,” says the school. The program is also delivered 100% online and it takes 24-48 months to complete. In addition to the UOnline MBA, an MBA with a Corporate Finance Focus is available, as well as Financial Decision Making and Accounting Practice. Corporate Finance and Financial Decision Making require an additional five credit hours, while Accounting Practice requires nine. Though the MBA program is delivered entirely online, students may attend an optional, on campus residency and/or an optional on campus orientation and campus tour. The residency is a “week-long immersion session, during which you will take one full, accelerated course on campus.” The orientation allows students to meet faculty, University staff and fellow classmates before their studies begin.